le chaudron de vulcain – February 11 , 2019. EN. Italy / Sicily : Etna , Chile : Copahue , Indonesia : Dukono , Mexico : Popocatepetl . February 11 , 2019. EN. Italy / Sicily : Etna , Chile : Copahue , Indonesia : Dukono , Mexico : Popocatepetl . Home / blog georges Vitton / February 11 , 2019. EN. Italy / Sicily : Etna , Chile : Copahue , Indonesia : Dukono , Mexico : Popocatepetl . 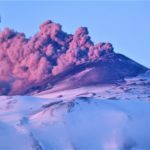 The National Institute of Geophysics and Volcanology, Osservatorio Etneo, announces that the monitoring networks have recorded a new emission of Etna ash at 7:36 yesterday morning. Experts have observed that « ash emissions from the Northeast Crater intensified from dawn » as the wind-driven ashes are directed to the South and Southeast. In addition, for Ingv, « the average amplitude of volcanic tremor continues to remain around mid-low values ». An intense ash emission had already been observed on Friday morning and had decreased in the early afternoon. 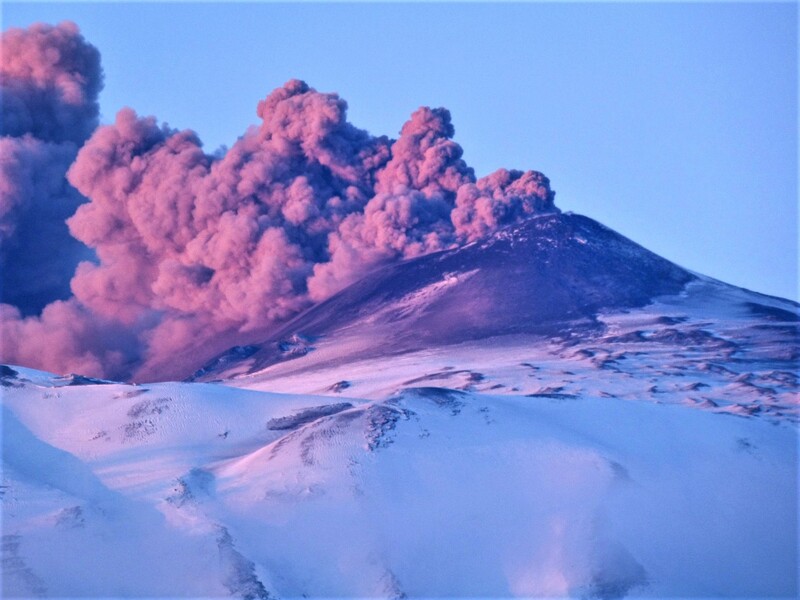 Then Saturday morning, following a new earthquake on the southern slopes of Etna, a magnitude of M2.9, felt by the population, the crater of the Northeast had begun its ash eruption. However, in recent days, the airspace of Catania airport has remained open and flights are regular. Source : lagazzettasiracusana.it , INGV. During this period, 254 seismic events classified as volcano-tectonic (VT) were recorded, associated with fracturing processes of rigid materials. The event with the greatest energy obtained a local magnitude equal to M 3.3 and was located 7.3 km east-northeast (ENE) of active crater El Agrio, 1.2 km depth. Similarly, 123 earthquakes associated with fluid dynamics were recorded under the volcanic building, classified as Long Period Type (LP) events, with a maximum reduced displacement value (DRC) of 12.9 cm2. In addition, 9 very long period earthquakes (VLP) were recorded, with a maximum displacement value of 4.2 cm2. The continuous tremor signal showed oscillations in its amplitude between low and medium intensity values ​​with dominant frequencies between 1 and 3 Hz mainly. 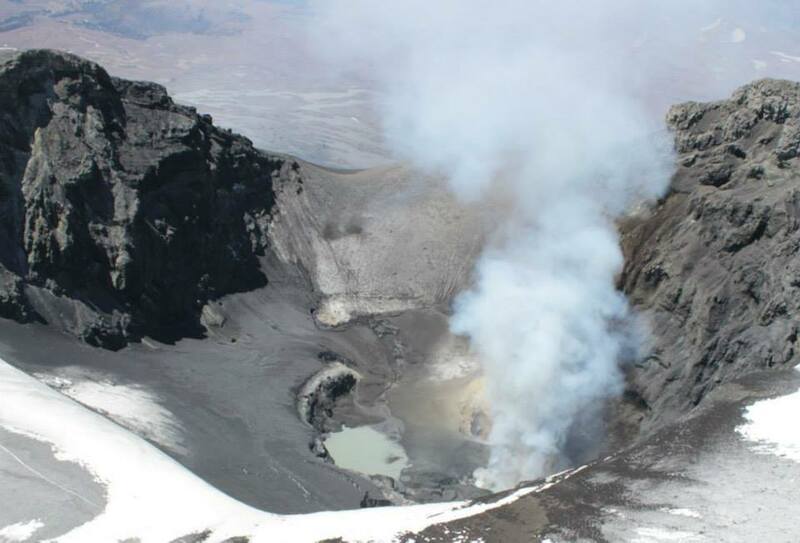 IP cameras installed near the volcano recorded a constant degassing of the active crater (El Agrio) at a maximum height of 200 m with white color emissions, when the weather conditions allowed to observe the volcano. . According to the analysis of the data obtained by four geodetic monitoring stations, we observe that the trend shown over the last 3 months is maintained, with variations of low magnitude that do not exceed 0, 1 cm / month in the horizontal displacement, and a slight upward trend, less than 0.5 cm / month, in the vertical component. Sulfur Dioxide (SO2) emissions from DAS equipment for Mellizas, located 5 km east-northeast of the active crater, had an average value of 418 +. – 73 t / day, with a maximum value of 706 t / day reported on January 27th. SO2 emissions are considered moderate if we look at the current state of the volcano. No thermal warnings were reported in the area associated with the volcanic building during the reporting period, according to the data processed by the mean infrared observation. volcanic activity (MIROVA) (http://www.mirovaweb.it/) and near-real-time thermal monitoring of global hot spots (MODVOLC) (http://modis.higp.hawaii.edu/) . 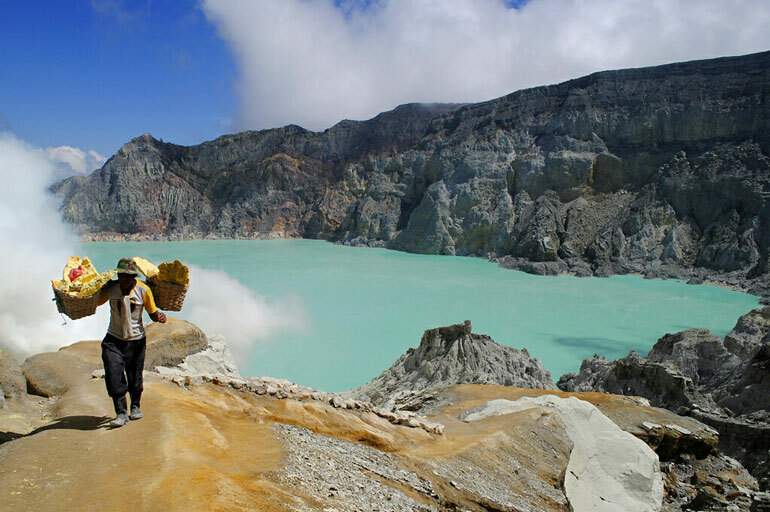 Although it is not excluded that volcanic activity is increasing again, the monitoring parameters within which crater lake recovery and low surface activity are distinguishable suggest the stability of the volcanic system. YELLOW LEVEL: Changes in the behavior of volcanic activity – Probable time for an eruption: WEEKS / MONTH. 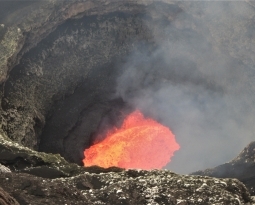 Observation: A zone of assignment is considered to be a radius of 1 kilometer around the crater. Activity Level at Level II (WASPADA). 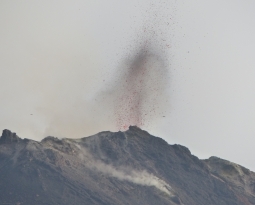 The Dukono volcano (1229 m above sea level) has continuous eruptions. Since yesterday and until this morning, the volcanic peak was clearly observed then was covered with fog. 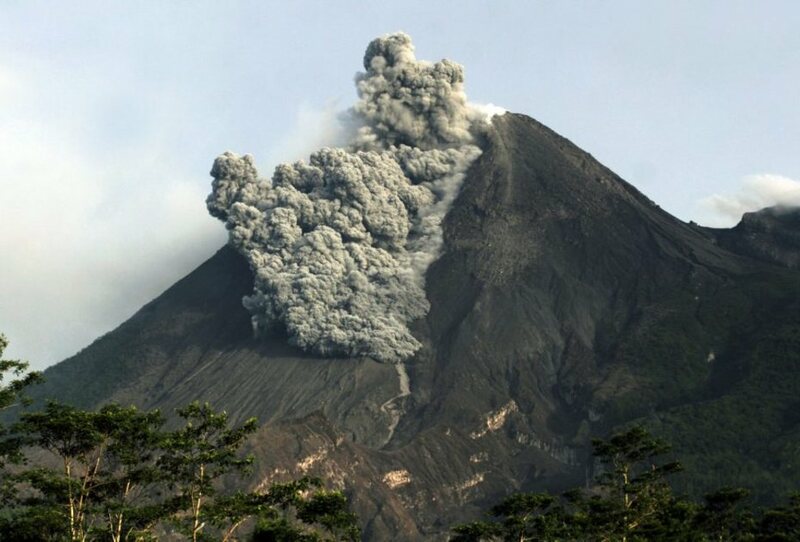 Smoke from the crater was observed white / gray at 600 m above the summit. The wind is blowing weak to moderate in the southeast and south. 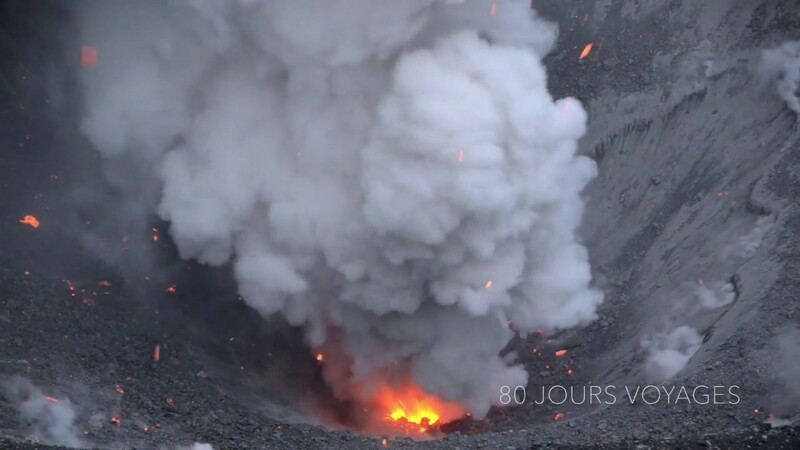 The most explosive eruption was 200 – 600 m high. People around G. Dukono and visitors / tourists should not climb and approach the crater of Malupang Warirang within a radius of 2 km. Eruption with volcanic ash cloud at 23h40 UTC (08h40 local). Best estimate of ash-cloud top is around 5853 FT (1829 M) above sea level, may be higher than what can be observed clearly. Source of height data: ground observer. Ash cloud moving to South. Photo : S Chermette / 80 Jours voyages. 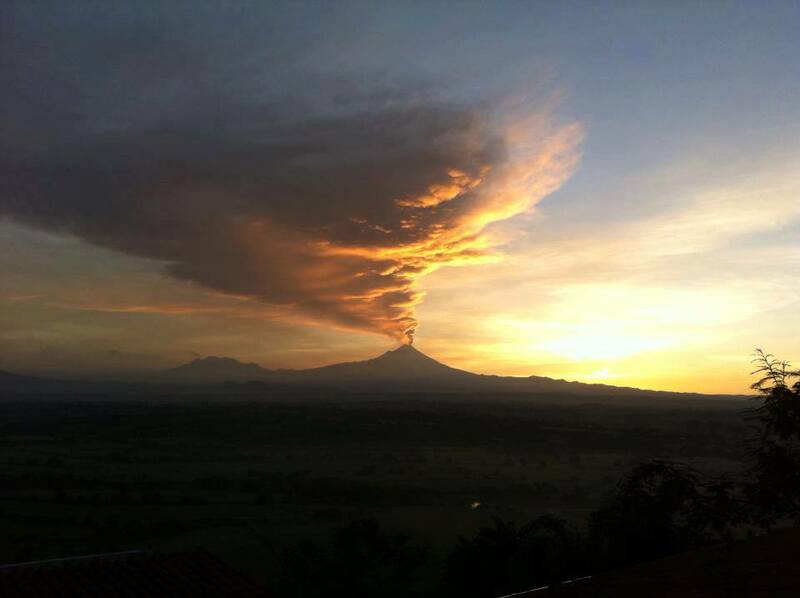 In the last 24 hours, 243 exhalations have been identified through the monitoring systems of the Popocatépetl volcano, accompanied by water vapor, gas and light amounts of ash. In addition, 34 minutes of harmonic tremor of low amplitude were recorded. 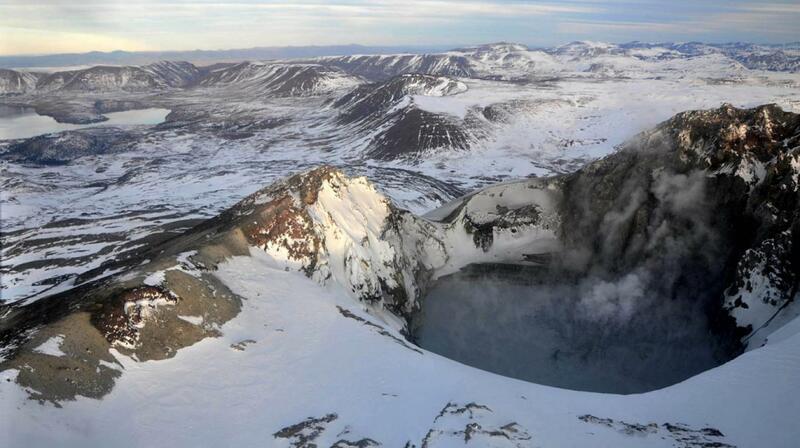 During the night, the crater was visible and an incandescence was observed during some of the exhalations. At the time of this report, we can observe a slight continuous emission of volcanic gases that disperse in a north-northwest direction. CENAPRED urges NOT to APPROACH the volcano and especially the crater, because of the risk of falling ballistic fragments, and in case of heavy rains, to move away from the bottom of the ravines because of the risk of landslides and mudslides. Photo : Auteur inconnu .